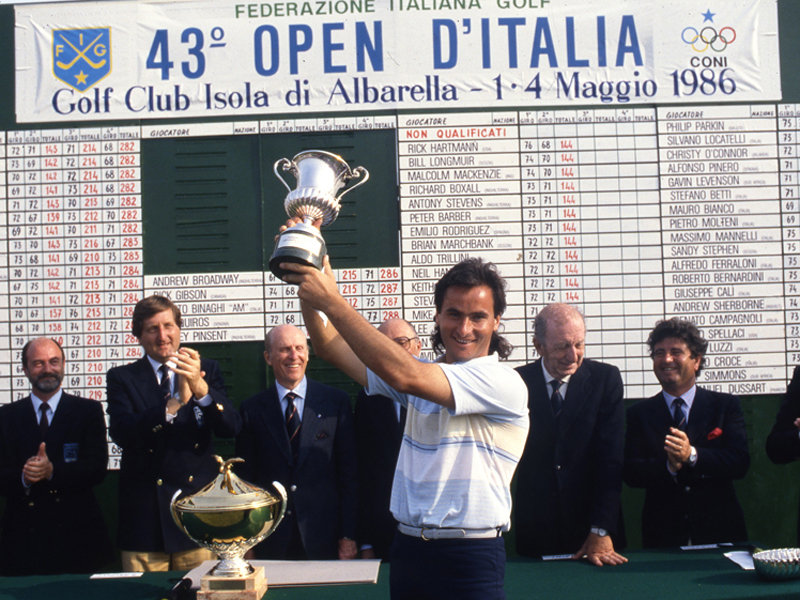 The Italian Open boasts a long history of champions who have ennobled its roster, and others who brought prestige to the tournament despite not winning. It is hard to imagine, 90 years on, that the first Italian Open was played by three distinguished gentlemen wearing suits. William H. Jolly and Luigi Prette, in that distant September day of 1925, hopped on the first tee and took off their jackets; but Francesco Pasquali simply buttoned his up before hitting his first shot. 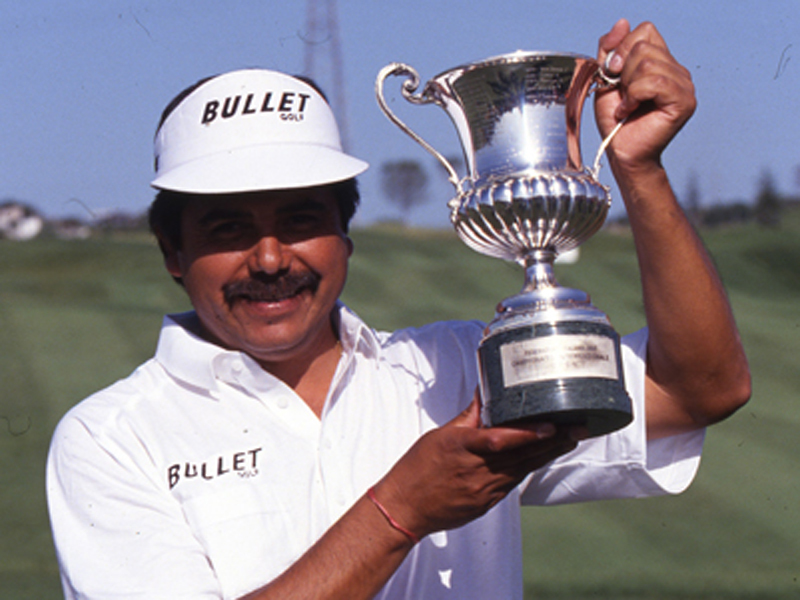 He completed the 36 holes in 154 shots – one better than Jolly. The second edition, which was attended by the most renowned professionals of the era, was won by 18 year old Frenchman August Boyer, who would go on to establish a record of four victories (in 1926, 1929, 1930, 1931) – a feat which was later emulated by Belgian Flory Van Donck. 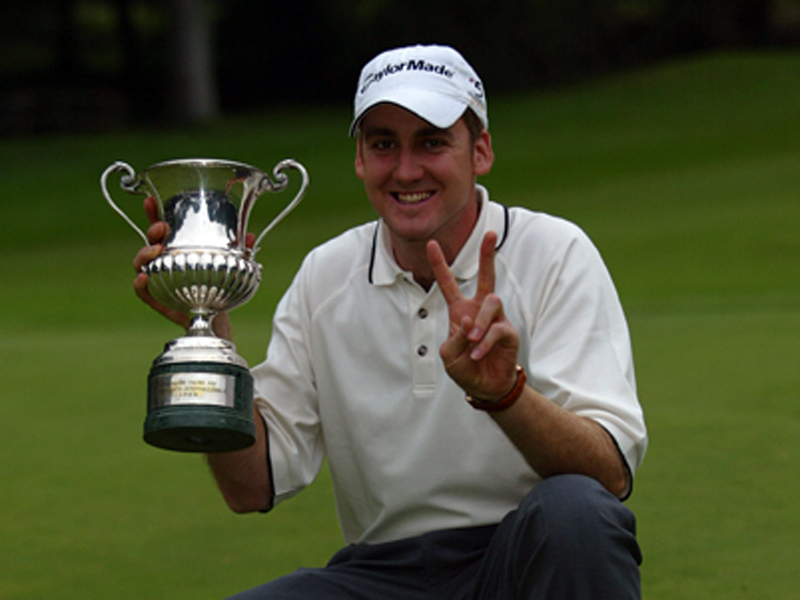 Boyer remains the youngest winner of the tournament, although since the tournament joined the European Tour in 1972, Francesco Molinari (aged 23 years and 180 days in 2006) is recognised as the event’s youngest winner. Two other characters characterised the pre-war period, Percy Alliss and Senator Agnelli, Gianni’s grandfather, the founder of Fiat cars. 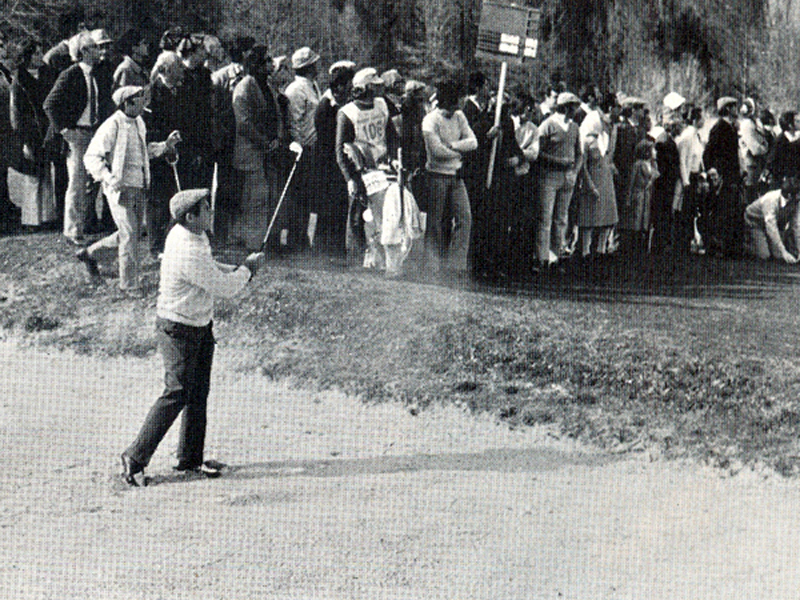 Alliss became the tournament’s third winner in 1927, and added a second title in 1935. He was followed into the winners’ enclosure in 1958 by his son, Peter, making them the only father and son combination to have lifted the trophy. 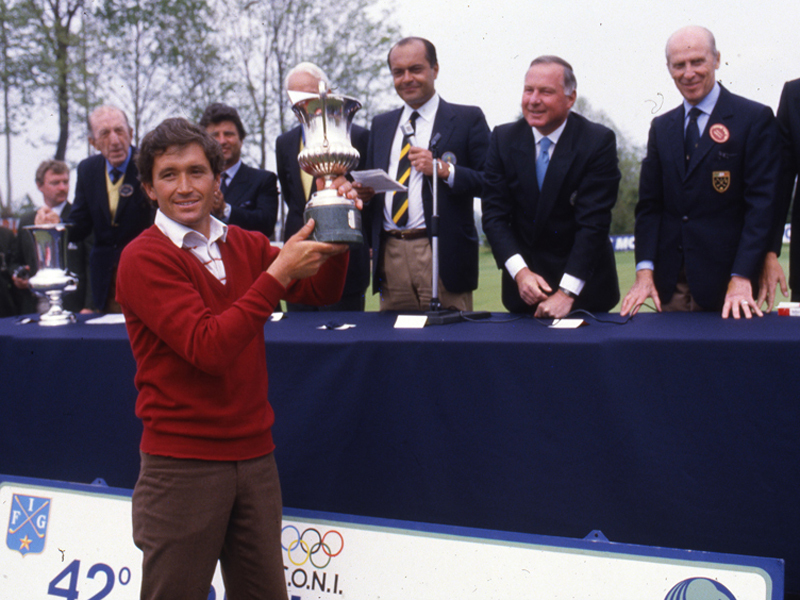 Senator Agnelli was a real pioneer, launching the first advertising campaign for golf tourism. To advertise the course that he had built in Sestrieres, he hired Henry Cotton, who had two Open Championship victories to his name, with the intention of attracting wealthy English clients. It had the desired effect, but World War II soon intervened. 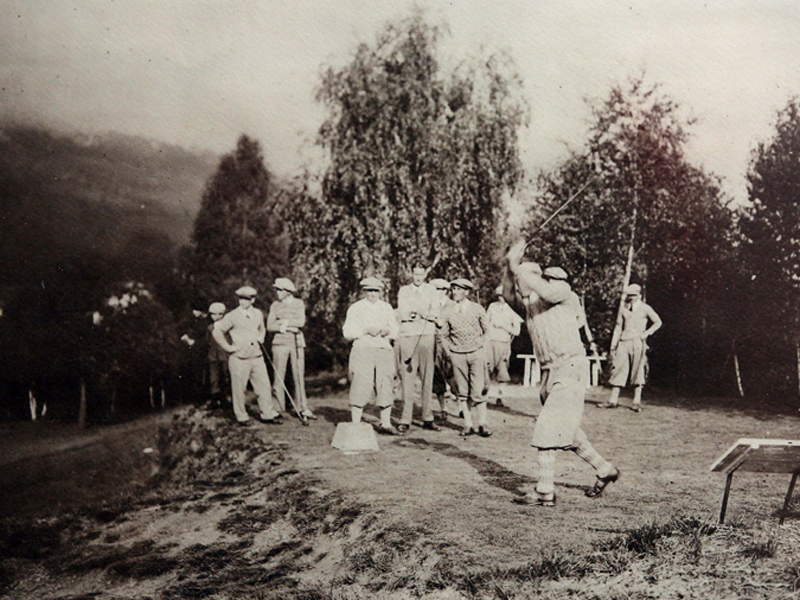 After the resumption in 1947 in San Remo, home players enjoyed a period of dominance. Aldo Casera (1948) was followed into the winners’ circle by Ugo Grappasonni (1950-1954), and nine times Italian players finished second. Casera and Grappasonni were two of the “three Musketeers” who dominated the national scene at that time. The third, Alfonso Angelini, failed to claim the title, but finished second three times (in 1950, 1958, 1959). 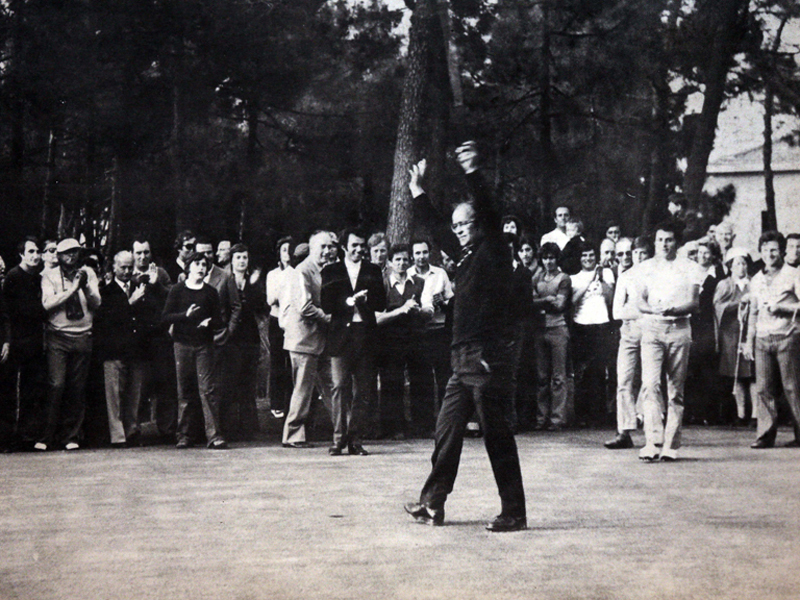 After the 1960 edition, the tournament was suspended until 1971, when it moved to Garlenda Golf, where the winner was Ramon Sota – uncle of Severiano Ballesteros. 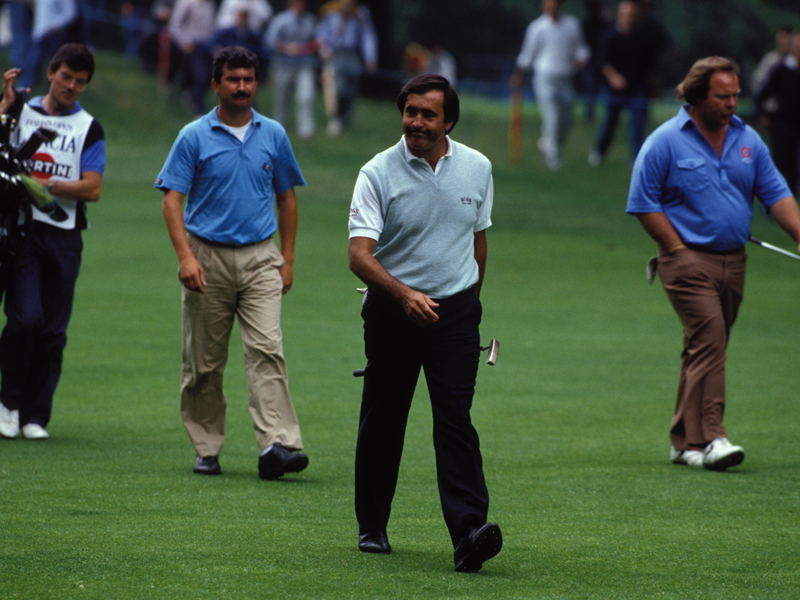 Subsequently, some great champions rose to prominence, notably Billy Casper who in 1975 triumphed at Monticello at the ripe old age of 44 – he remains the oldest winner to this day. 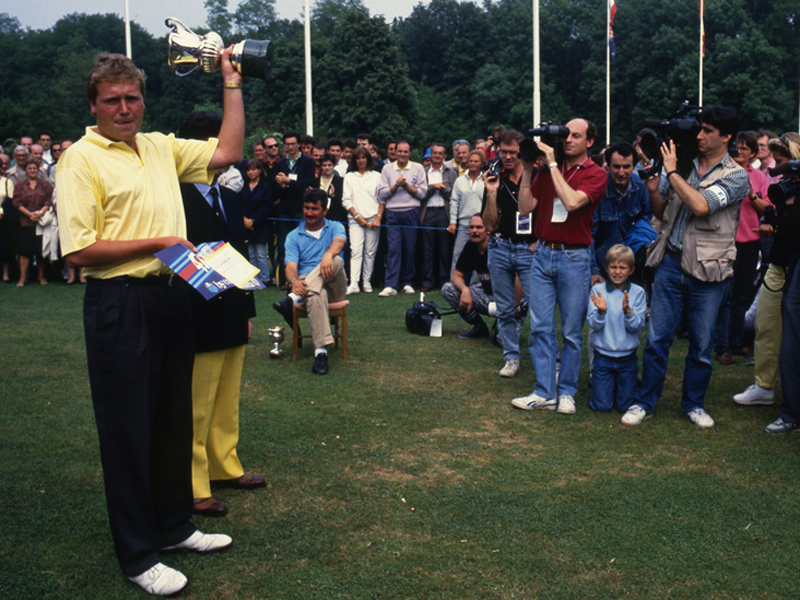 Other greats such as Tony Jacklin (1973), Peter Oosterhuis (1974) and Dale Hayes (1978) also etched their names on the trophy, whilst some stars of the future also announced their arrival by lifting the trophy, notably José Maria Cañizares (1981) and a young Bernhard Langer (1983). There were two other titles for Italians, with Baldovino Dassù (Is Molas, 1976) and Massimo Mannelli (in 1980). 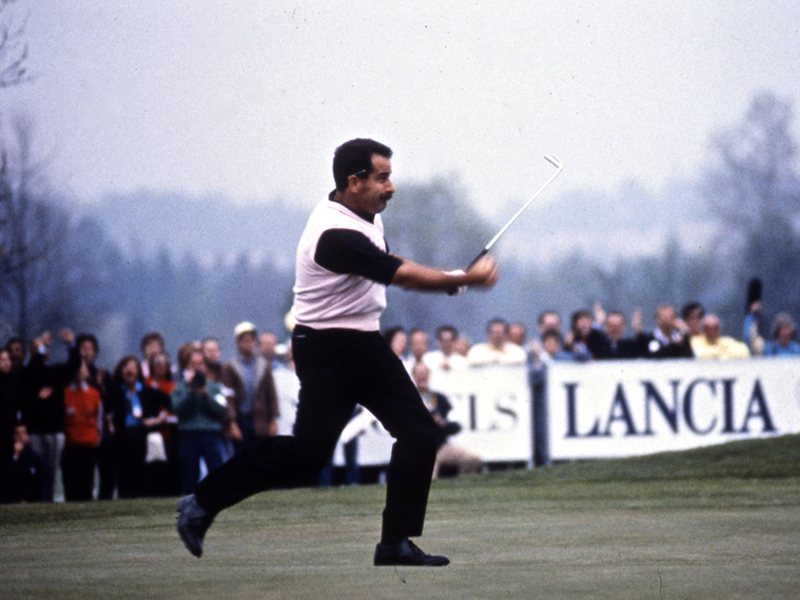 Dassù’s vcitory was by eight shots – a tournament record which still stands to this day. 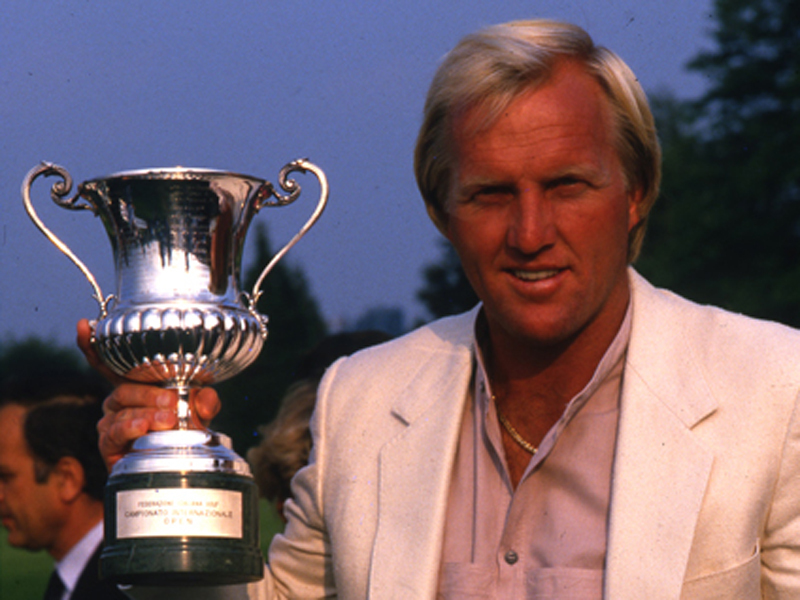 In 1988 in Monticello, Greg Norman added his name to the rollcall of champions. Between rounds Norman found time to travel to Maranello to buy a Ferrari, returning to the course to claim victory over Craig Parry with a rousing finish. 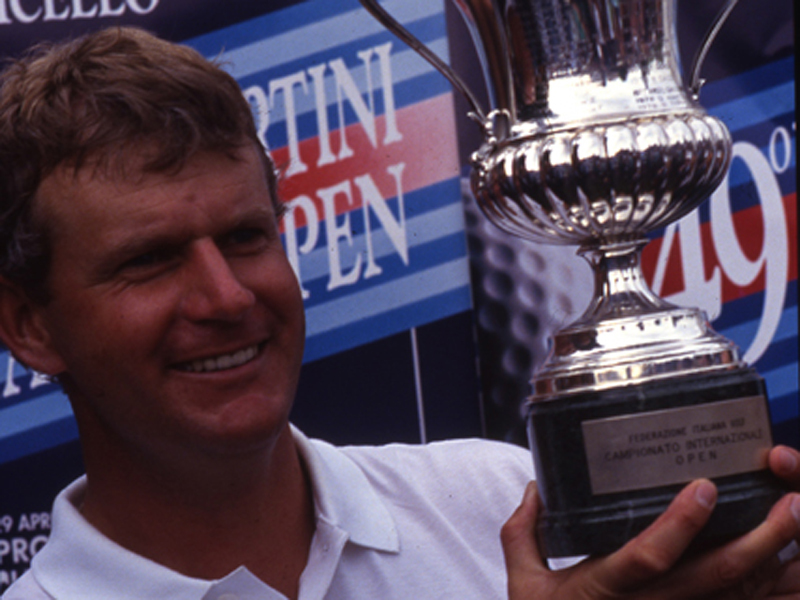 Norman was subsequently joined in the winners’ circle by his fellow Major Champions by Sandy Lyle (1984 and 1992) and Langer, who doubled his tally of titles in 1997. 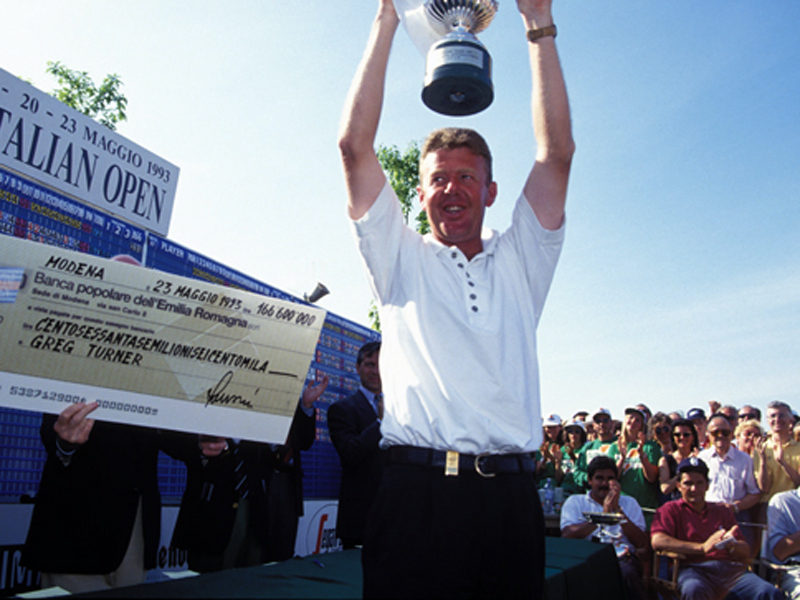 At the turn of the century, the Italian Open became a launch pad for young talent, including a maiden European Tour title for Ian Poulter in 2000 (he won again in 2002). 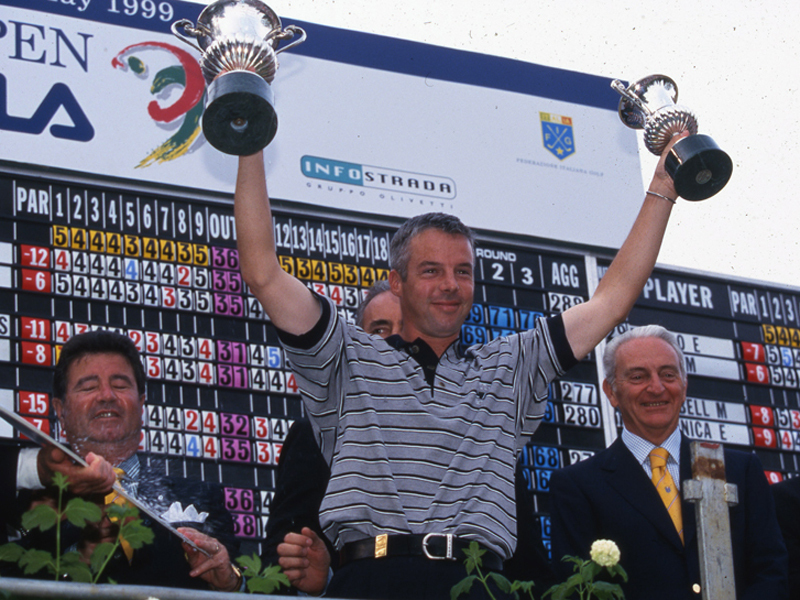 In 2003, the Italian Golf Federation took over the reins of the event with its own organising committee and with a forward-looking agreement with the European Tour. Fittingly, the tournament was won the following year by Graeme McDowell, who would later go on to claim Major Championship and Ryder Cup glory. 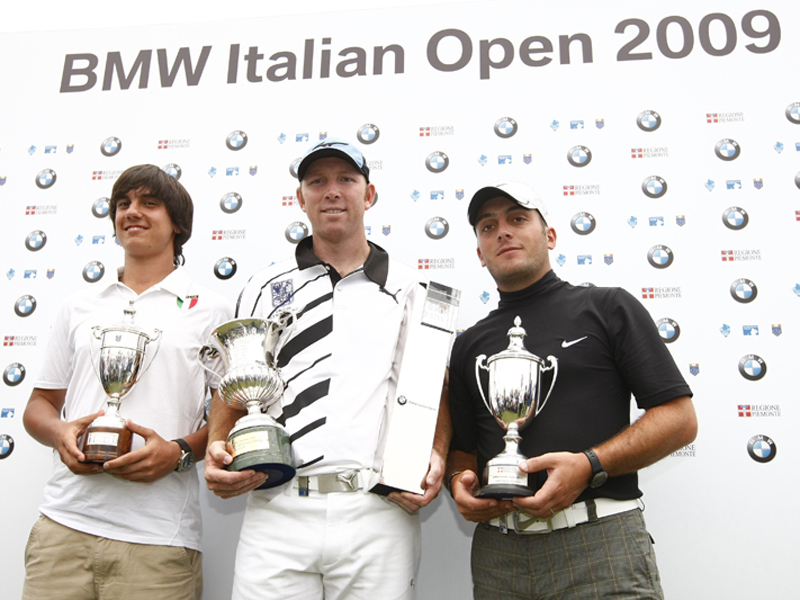 In 2006, Francesco Molinari claimed the seventh home victory, 26 years after the previous one. Fernandez Castaño was also a good professional, scored in 2007 (and then again in 2012), then three outsiders, the South African Hennie Otto (2008, repeated in 2014), the Argentine Daniel Vancsik (2009) and the Swede Fredrik Andersson-Hed (2010), anticipated a new organizational phase with the intervention of RCS Sport. In 2011, Englishman Robert Rock climbed to the proscenium, a whimsical player who confirmed his qualities and imposed himself the next year in Abu Dhabi. 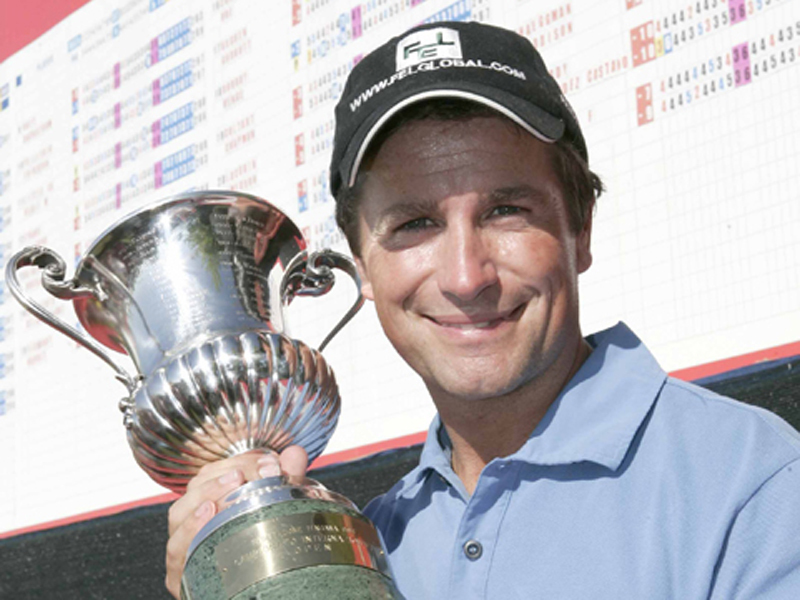 In 2012, the fourth consecutive edition broadcast at the Royal Park I Roveri G & CC after the five-year period at the Castello di Tolcinasco G & CC, brought Gonzalo Fernandez Castaño to the fore, which overtook the South African Garth Mulroy, signing the sixth title in the continental circuit . 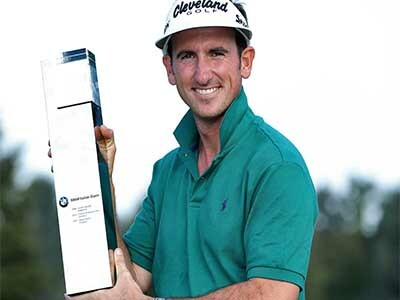 In 2013, almost 30,000 spectators descended on Circolo Golf Torino La Mandria as Julien Quesne claimed his second European Tour title, so justifying the decision of Franco Chimenti, President of the Italian Golf Federation, to grant free admission in order to promote golf. 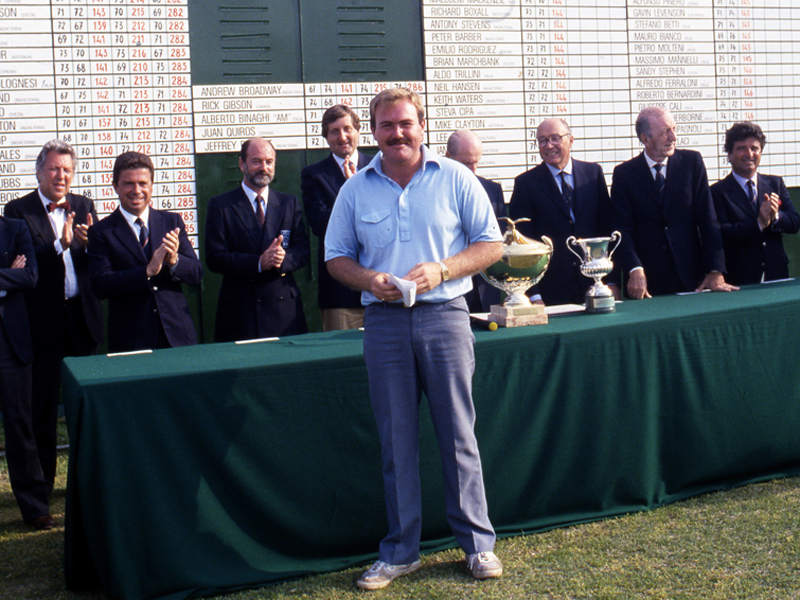 In 2014, the venue for the 71st edition was Circolo Golf Torino, a popular venue which drew even bigger crowds, with 34,500 turning out to witness a tournament won by South African Hennie Otto – whose first European Tour victory came at the same tournament in 2008. 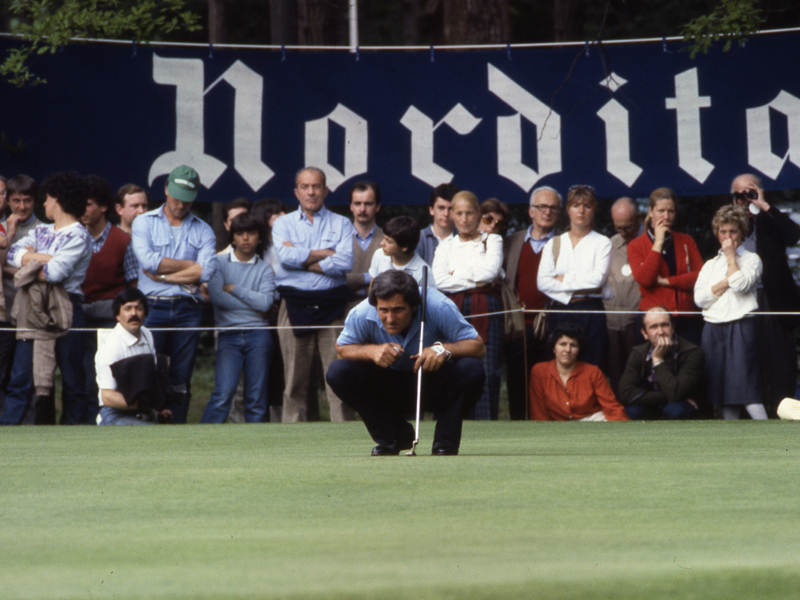 From 2015 to 2017, the Italian Open moved to Golf Club Milano, surrounded by the magnificent scenery of Monza Park, for three editions where huge crowds really showed their love for golf: 173.000 people attended in three years (50.000 in 2015, 47.000 in 2016 and 73.000 in 2017), a new record for a golf tournament in Italy – and the bad weather of the first two days in 2016 prevented to reach even bigger numbers. The 2015 champion was Swede Rikard Karlberg, who upset the odds by defeating Martin Kaymer in a sudden death play-off. 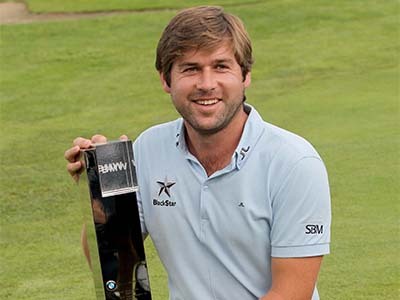 It was the first title for Karlberg, who took advantage of some mistakes made by the German champ and signed his win with a birdie at the second extra hole. 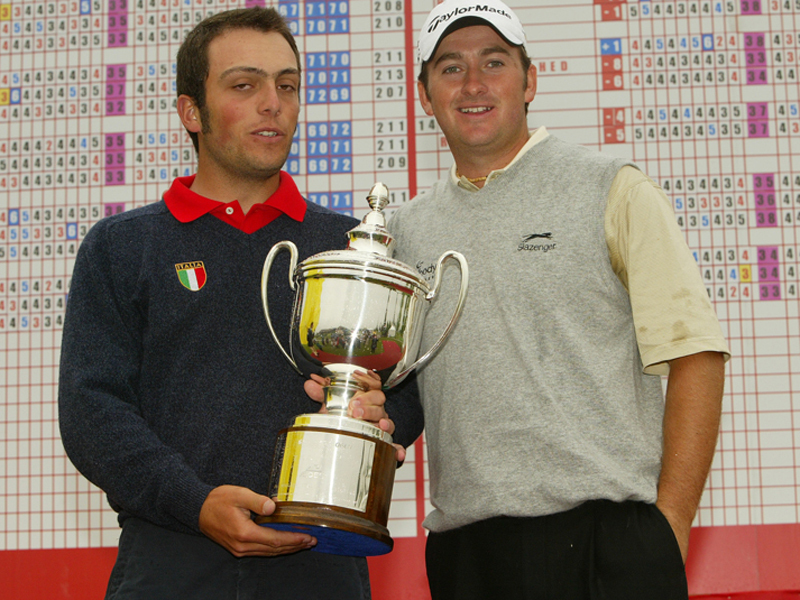 Francesco Molinari was 13th, but a promising Italian amateur, Lorenzo Scalise, made better than him as best Italian player of the tournament (11th). 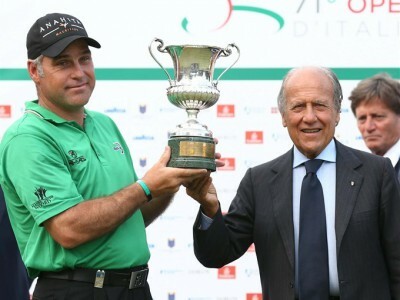 Molinari found the best way to improve the following year, winning in style the 73rd edition of the Italian Open, after a head-to-head match against Danny Willett, who had won the Masters just a few months earlier. “Chicco” added this spectacular win to his roster in front of a crowd of 16.000 people, 10 years after the first title of his professional carreer, conquered at Castello di Tolcinasco. He is now only the second Italian after Ugo Grappasonni to boast two wins of the national title. 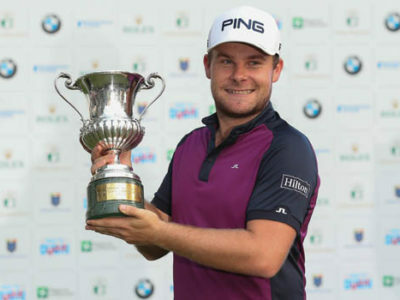 The 74th edition of the Italian Open in 2017, the first Rolex Series event played in Italy with a record prize money of $ 7 million, has delivered another incredible triumph, with Tyrrell Hatton sealing his second European Tour win in seven days with a brilliant birdie at the last to claim the title, following his successful title defence the week prior at the Alfred Dunhill Links Championship in Scotland. 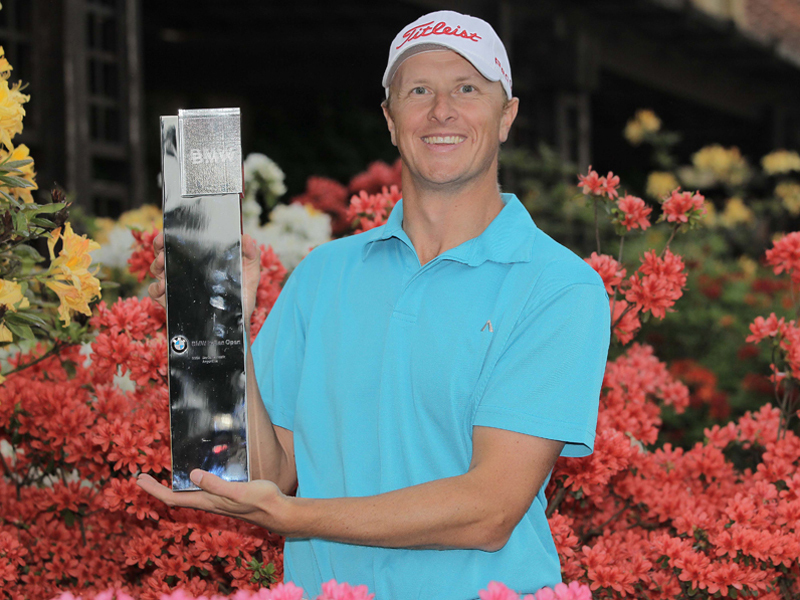 The Englishman carded six birdies at Golf Club Milano – including five on the back nine – in a flawless 65 on Sunday to win his first Rolex Series event and propel himself to a career-high fifth-placed finish in the Race to Dubai Rankings presented by Rolex. In 2018 Lombardy hosts again the Italian Open where the scenario is the fascinating Gardagolf Contry Club of Soiano del Lago (BS). 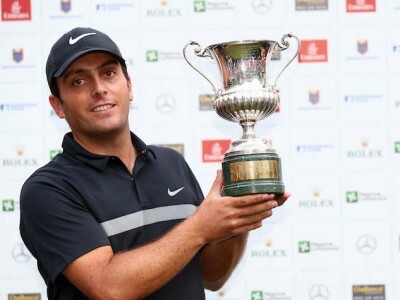 The 75th Edition of the tournament saw an extraordinary Francesco Molinari touching a historic hat-trick. 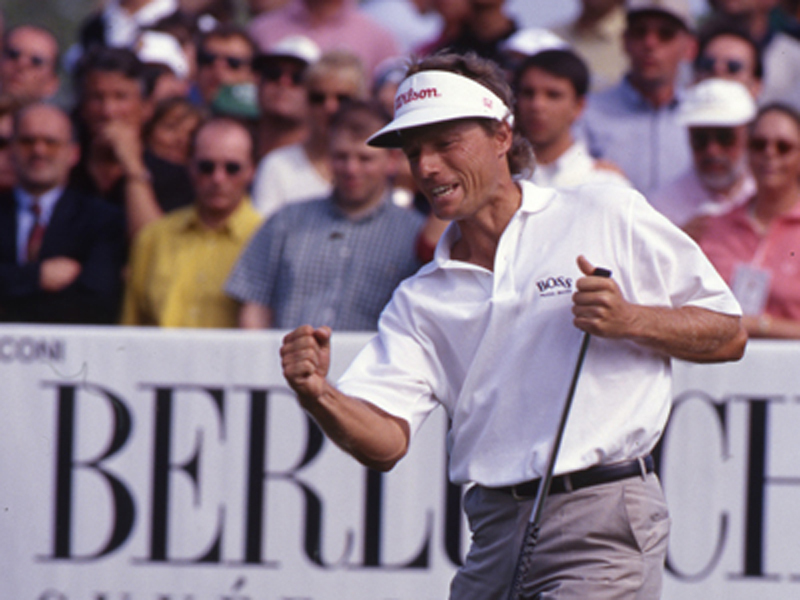 The Italian guy finished with 263 (66 66 66 65, -21) behind the winner Thorbjorn Olesen (262 65 68 65 64, -22) after an exciting duel lasted until the 18th hole of the last round. Good performance by Lorenzo Gagli who finished in 14th place with 269 (68 69 66 66, -15) and Matteo Manassero, 36th with 274 (66 68 68 72, -10), after three rounds in the high scores.